Strawberry Rhubarb Crisp (gluten and dairy free!) From The Fresh Dietitian! 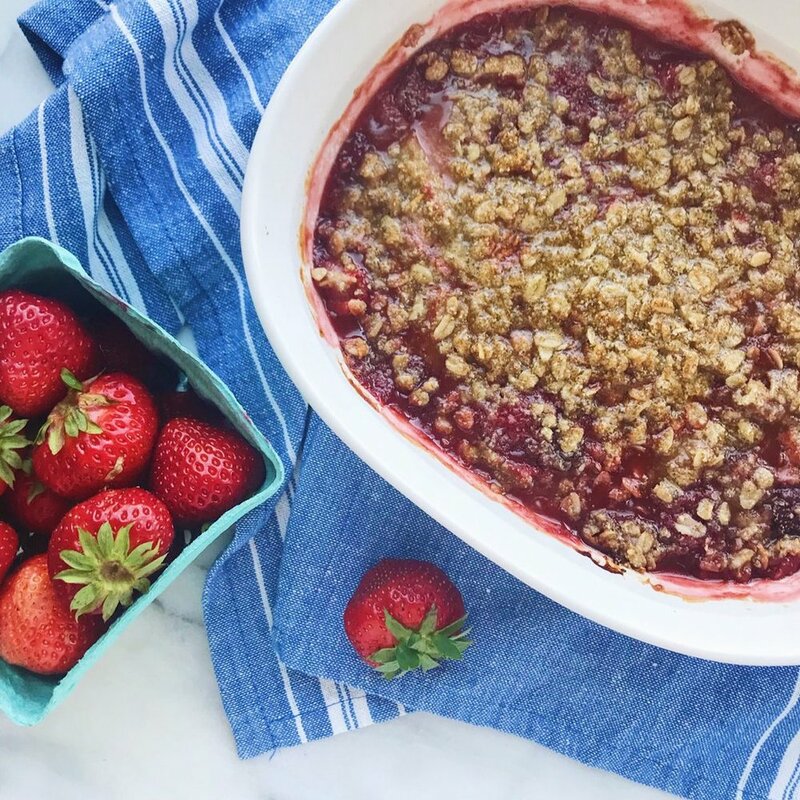 Impress the guests this Fourth of July with this gluten-free and dairy-free Strawberry Rhubarb Crisp created by the talented Jessica of The Fresh Dietitian! Preheat oven to 350°. 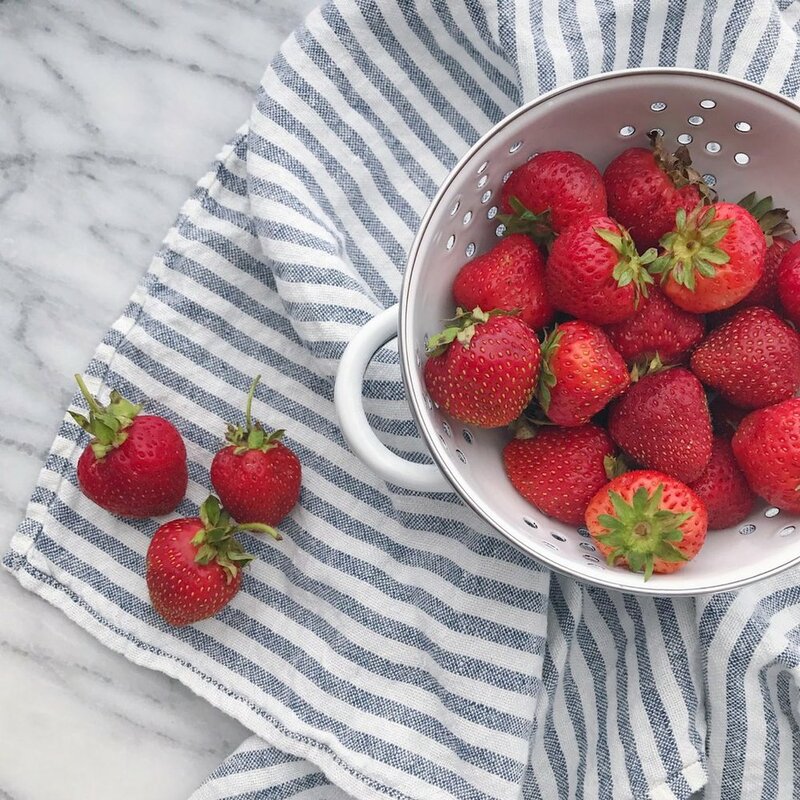 Combine strawberries, rhubarb, lemon zest, and granulated sugar in a bowl. Dissolve cornstarch in the lemon juice and then add to the filling mixture. In a separate bowl, combine almond flour, oats, brown sugar, granulated sugar, and salt. Add the coconut oil and olive oil and mix until topping looks crumbly (pea-sized crumbles). Best way to mix the topping thoroughly is with your hands! Place filling into an oven-safe dish and sprinkle the topping over the top. Bake for 1 hour or until topping is browned and filling is bubbly. Pair with coconut whipped “cream”. Place 2 cans of coconut milk in the fridge overnight. Open the cans and separate the water liquid from the thicker milk. Whip the thicker milk with the sugar until soft peaks form.